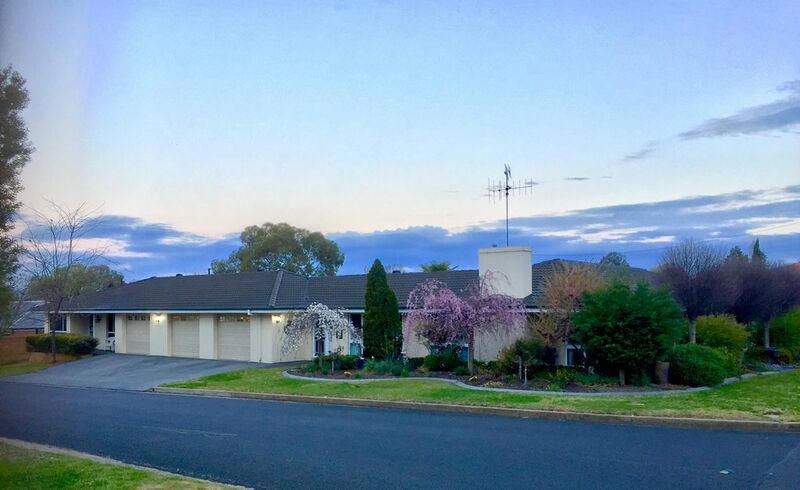 Stylish private villa centrally located, with an easy walk to the CBD, Charles Sturt University and Mt Panorama. Full range of FOXTEL stations and unlimited Wi-Fi. Enjoy the central heating and cooling and during the warmer months feel free to use the BBQ and swimming pool. Quality furnishings and all linen/towels are provided. Perfect for a weekend country getaway and also well suited for a longer stay. If you are planning on being in Bathurst for a longer stay, please contact me to discuss a more competitive price. This contemporary unit offers two bedrooms; the main with a pillow top king sized bed, the other with two king singles and an additional single is available upon request. Our family home is adjacent to the unit, however, we only share the backyard. You have your own front entrance and car parking at the front of the garage or street parking. All bed linen and bath towels are provided. Please bring beach/swimming towels if you are planning to have a swim in the pool. If you are looking to accommodate a larger group, you may want to check out our other listing Brilliant On Brilliant - same address but you also have full access to our family home - sleeps 14. You have both the 2 bedroom unit and 3 bedroom house - 2 king beds, 1 queen bed, 4 king single, 2 single + double sofa bed. 3 bathrooms, pool, spa bath and large outdoor entertaining area - please contact me to discuss. Feel free to contact me with any questions regarding your stay or time in Bathurst. Transport pick-ups can be organised. Both born and bread Bathurst locals who have moved away and returned. Best place in Australia to bring up children. Ours are all grown up, so we now have a little more time to spend on the things we love. We both love to travel and also love weekends away in our caravan. We have lived in this property for seven years but have only just decided to do the short term/holiday rentals and it's fantastic! Love meeting new people and sharing some of the wonderful things Bathurst and surrounds have to offer. Fantastic location - walking distance to town, pubs and clubs. The central heating and cooling make our villa perfect all year round. Beautiful, clean, cozy, and comfortable. We very much enjoyed our stay at Harris St Hideaway - the house is spacious, very well equipped and furnished to a very high standard. We particularly loved the lounge recliner chairs. we totally loved our stay and would highly recommend. the kids enjoyed swimming in the pool and also enjoyed the foxtel and internet. the house and bedrooms were very spacious. the only negative was the shower was hard to adjust the temperature. Property looks even better than the images on the webpage - spacious, clean, warm and welcoming. Pool was a great temperature and nice to cool down on the warm summer days. Hosts were so helpful when we had car issues - would highly recommend and hope to return again. Relaxed home. Great pool. All you need is provided in the kitchen. Second time we stayed.